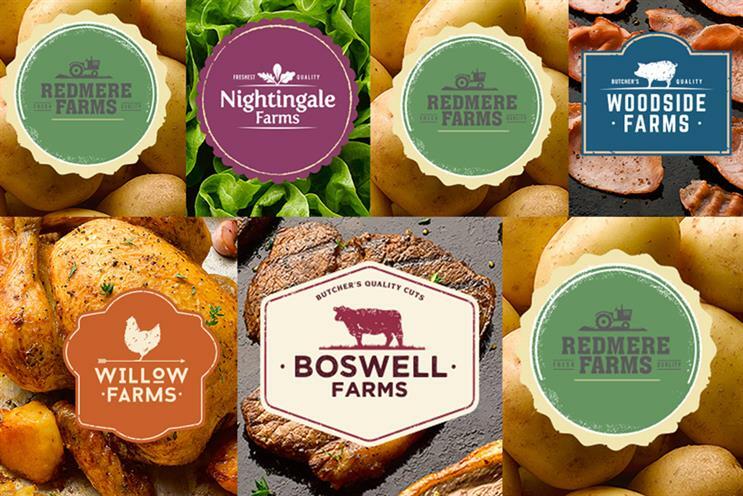 Retail analysts have defended Tesco's decision to introduce 'fictional' farm brands for its value fresh products, after a backlash from consumers and the farming industry. But not everyone's convinced. The retailer has revamped 76 lines in fruit, veg and poultry under seven newly created brands - with most of the products replacing those under its existing ‘Everyday Value’ budget range. The brands are Redmere Farms (vegetables), Suntrail Farms (imported fruit), Rosedene Farms (berries, apples and pears), Nightingale Farms (salad), Woodside Farms (pork), Willow Farms (chicken) and Boswell Farms (beef). The move was questioned by the National Farmers Union and Soil Association, and drew some dismissive comments on social media. But retail consultant Alison Pike said that the new branding was well positioned. "The word ‘farm’ will give a perception of quality and a perception of provenance for the product itself," she said. "The in store execution, the marketing of this, it looks very strong - it’s very clean, very simple, and I think it will be effective." Pike said that shoppers would not be deterred by the made-up names being used. "It’s just a name, just a brand name," she said. "They could use the name of a real farm - but would the customer know? No." Bill Grimsey, a former CEO of Iceland who worked for Tesco in the 1980s as its first customer services director, said that improving the perception of value was a particular challenge in fresh food, but that Tesco was on the right track. "With fresh food it's a different buying decision," he said. "Even at the price points that are being hit - people still, when they open it up and cook it, make that connection between the quality of the product in front of them and the price they paid for it. "The starting point is to take away the brand image of a value item, replace it with farm, which gives it a quality connotation, hit the price hard, and rely on the product to deliver." And brand consultant Claire Nuttall said the identities would offer "warmth and reassurance" for shoppers, without creating significant change in the perception of the products. "These farm names will not be thought of and behave as brands," she said. "They will not be supported, it's just a different execution strategy of a value range. I think consumers are wise to that and don't question aspects like the farm name as much when it comes to lower priced goods." Support for the strategy is far from universal, however. Marketing consultant Gemma Teed wrote that although the motivation was solid, the farm names could backfire. We're in a world now in which consumers care more for the truth than for make-believe stories. "I’m going to say that while moving to branded was very smart, making up farm names in an age when provenance is becoming ever more important was a bit short-sighted," she said. And others were much more dismissive. "This is what you get when you develop branding without proper strategic thought," said Jim Prior, chief executive at The Partners and Lambie-Nairn. "Whoever thought that a branding solution based on telling little white lies to consumers was a sound idea must either be living in a bygone brand-morality era, or new to the industry. "It’s not that it can’t work, maybe they’ll get away it, but we're in a world now in which consumers care more for the truth than for make-believe stories – especially when it comes to something as fundamental as food, so this has risk written all over it from a brand management point of view."